Macotakara has a fairly reliable track record when it comes to the world of Apple movements are concerned, has released a new report indicating that Apple will release an iPhone with a polycarbonate housing and four-inch screen and a half towards the year 2014. The publication goes on to say that the device will look very similar to the iPhone 5 but since their housing would be polycarbonate, its thickness may increase slightly in order to maintain its resilience to shocks. Macotakara also dares to talk about prices and ensures that the iPhone could cost about $ 300, making this affordable iPhone which has been talked about so much lately. Finally, the website mentions that the next generation iPhone (iPhone 5S) receive a flash for the rear camera consisting of two LEDs instead of just one as we have today. This would be a major improvement when taking pictures with better quality in low light environments without actually touching a good level of xenon flash. Much remains for 2014, is still a long way to know which will succeed the iPhone 5 so these rumors have to digest slowly and always knowing that Apple can change the specifications of your product until the day of his presentation, which would invalidate all the above information. After the MWC, following the launch of the high-end smartphone Samsung will be conducted on 14 March to present the Galaxy S4. The iPhone 5S will probably have to wait until October. 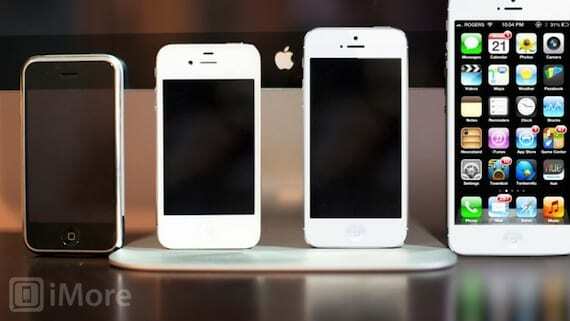 Article Apple could launch an iPhone polycarbonate and 4.5-inch screen in 2014 was originally published in News iPhone .